Homeowners tend to put off window replacement as long as possible. Sometimes this is because they don’t know their windows need to be replaced. Here are a few signs to watch for: difficult operation, window leaks, increasing energy bills, water damage, and dilapidated window frames. If homeowners spot some of these common window problems they should start thinking about replacement windows sooner rather than later. In the long run, putting the project off could be more expensive. Buying new windows means making a lot of decisions. Homeowners have to consider both the aesthetics and functionality of replacement windows. This is why it is so important to prioritize the benefits you want. Is style a major factor? Do homeowners specifically want more efficient products? Is durability at the top of the list? Establishing these priorities early can make the decision process a lot easier. When it comes to new windows, the frame material has a big impact on price. Vinyl is usually the most affordable. It is durable, easy to maintain, and weather resistant, but doesn’t have as long a lifespan. Aluminum is a step up in strength and durability, but this material is not as efficient. Wood windows are unmatched in beauty, longevity, and efficiency, but they are more costly and require much more care and maintenance. Fiberglass is strong, efficient, durable, and long-lasting, but also comes at a higher price. Talking with a window professional can help you weigh your options and decide on the best value. If homeowners really want to stay on budget, they can’t afford oversized or custom window installations. Instead, it is better to stick with more standard window styles. 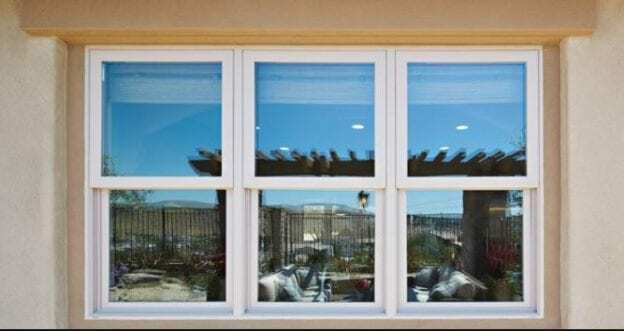 Some of the most common and most affordable windows are picture and sliding windows. A step up would include casement, single hung and double hung windows. Homeowners will pay even more for garden, bay and bow windows. The last things homeowners decide on are the glazing options for their new windows. This includes the number of panes, the gas fills, and the special coatings on windows to improve safety and efficiency. This is where homeowners really have to weigh the cost vs the value of these upgrades. Last, but not least homeowners should get quotes from three reliable window companies. That is the best way to make sure you are getting a fair price. It also gives you a chance to negotiate for a better price, incentives, or special offers. If you want a quote on window replacement in Mesa, AZ call the professionals at Freelite Inc. We can help you find the right products for your home and your budget. Contact us at (602) 233-1981. Or stop by our showroom at 331 W. McDowell Rd., Phoenix, AZ 85003 for a consultation. This entry was posted in Freelite Blog on February 11, 2019 by Freelite Blog.